On the morning of Wednesday, June 1, I woke up and geared up early in the morning to cycle across the Macdonald Bridge for a free pancake breakfast. It won't take regular readers long to figure out that EP Dave loves free food, and will do just about anything to get it. However, if I can get free food at an event that promotes cycling I will ride my bicycle across the ocean to get it (literally in this case). 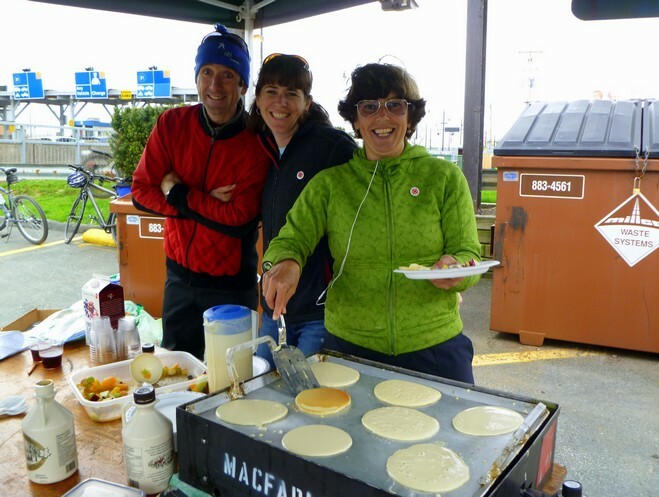 While a free pancake breakfast for cyclists is reason enough to get up early and leave the house, it wasn't the only cycling related event happening on this day. 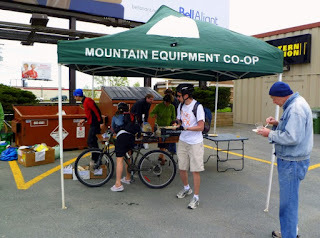 Teams of relays from different corners of Nova Scotia had been cycling for ten days across the province, and would be converging on the capital, Halifax, at 1:00 pm to deliver a copy of a historic bill to the Legislature that would become an official law on this day. The bill in question, Bill 93 (the one meter law), requires all motor vehicles to give a one-metre birth to cyclists when passing (drivers can move into the oncoming traffic lane when it is safe to do so). The law also makes it punishable by law to drive or park in a bicycle lane too - that means you taxi cab drivers. Halifax still has a long way to go to reach the level of cities like Victoria, Bike Mecca of Canada, or even Ottawa, but this law is a good first step, and is the first of its kind in Canada. 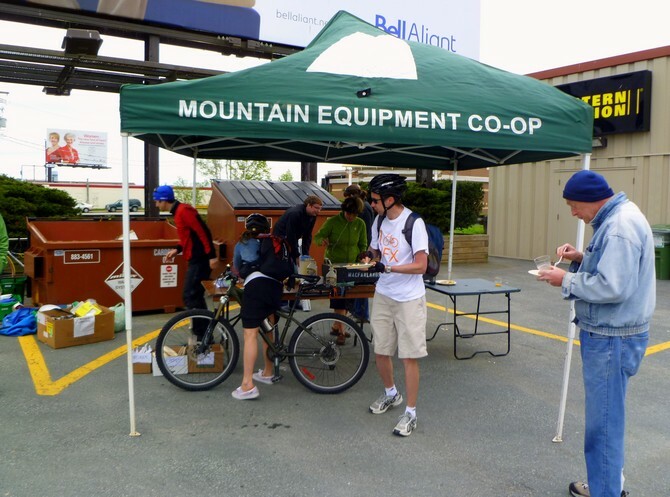 Bill 93 is largely the result of intense lobbying by the Halifax Cycling Coalition (HCC). The HCC was formed in 2007 after the death of 19 year old Michael Brooker. Brooker was cycling downtown in the morning, when he was struck by a transport truck and killed.